When it comes to maintaining your marble countertops in any area of your home, one of the single most important factors is proper sealing. Marble countertops can last a lifetime if you keep them protected from staining risks, and sealing is the primary method you have at your disposal here. At Intermountain Stone & Marble, we can assist you with sealing and all other needs for our beautiful marble countertops and other stone counters. How often you have to seal your marble countertop will depend on the stress the surface undergoes, but you’ll always want to have it ready if you notice water that’s being absorbed before you have a chance to wipe it up. 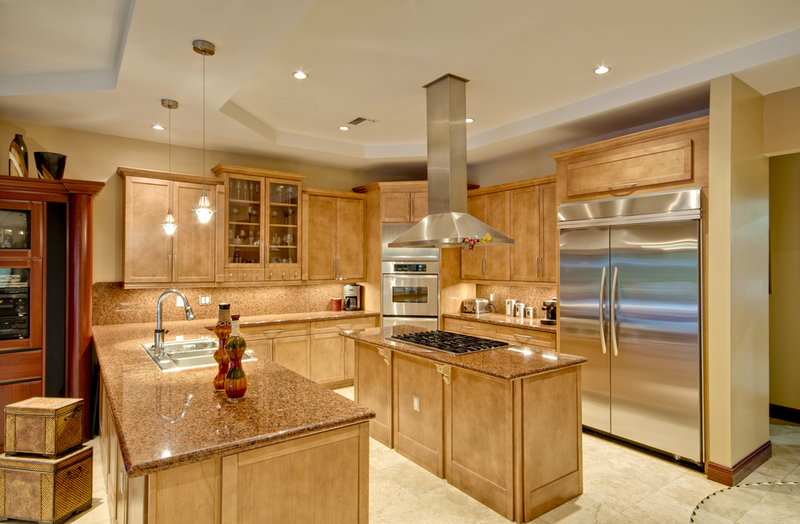 In today’s blog, we’ll go over the two primary sealer types you might consider for granite surfaces, plus a couple important factors that may impact your choice. Before we get into the solvent types available, a quick message about volatile organic compounds, abbreviated VOCs. VOCs describe toxins that certain chemicals may release – they’re commonly found in the output of materials like paints, solvents, carpet dyes and others that produce fumes. And as you’ll see here momentarily, VOCs may be present in your marble sealer product. This usually isn’t a major concern, as you can utilize airflow and proper ventilation to keep harmful fumes away, but it could be a risk if anyone in your home has a respiratory issue like asthma or COPD – these conditions can be aggravated significantly by VOCs. If you choose to use a sealer with VOC content, be sure to keep doors and widows open and use vents and fans to move air around, especially for the first few hours or days after sealing. The primary high-VOC sealers we’re referring to are those that are solvent-based. These may leave behind noxious toxins or smells soon after they’re applied. However, they’re also highly durable and will generally last longer than a water-based sealer, plus provide a wider range of protection due to smaller molecules used. If you’re able to create a well-ventilated application format that doesn’t risk anyone’s health, solvent-based sealers can be highly valuable. Much lower in VOC content, water-based sealers do not produce fumes. Their molecules are larger, and they fill in open pores in the marble to protect it from any staining. Application of water-based sealers is faster than solvent-based ones, though as we noted above, solvent bases may last longer. If you have any outdoor stone surfaces, water-based softeners should generally be avoided. One other important factor here: The finish you use for your marble countertop surface. If you use polished marble, for instance, your materials will be less absorbent due to the way surface pores are removed during polishing – these materials, water-based sealers usually do the job just fine. For matte or honed finishes where the surface is far more absorbent, however, you might prefer a solvent-based sealer for a higher degree of protection. For more on the proper sealer to use for your marble countertops, or to learn about any of our kitchen or bath remodel services, speak to the pros at Intermountain Stone & Marble today.